The enhancement of maintenance under the domestic violence Act is entertained under Section 25 of the domestic violence act, 2005. Section 25(2) is the particular section that deals with the enhancement of maintenance under the Act. The only requirement under section 25(2) is change in circumstances for enhancement of maintainance. Gen really the maintenance amount is awarded keeping in mind the status enjoyed by husband family. The court grants maintenance under the DV act in such a way that the maintenance granted to the wife is neither too luxurious nor too penurious. If a wife is able to show that the status of the family of a husband has increased significantly then she is entitled to enhancement of maintenance. if the husband starts earning more then that also leads to change in circumstances and enhancement of maintenance. The plain import of Sub-section (1) of Section 127 is that a provision is made therein for an increase or decrease of the allowance consequent on a change in the circumstance of either party at the time of application for alteration. Here, the allegation is that the source of income of the husband had increased. Therefore, the proper course to be adopted in this case is to remit the matter to the Magistrate for inquiry afresh on the petition filed by the petitioner. 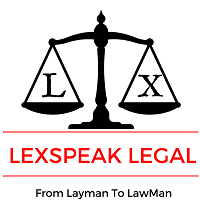 In Punn Deb 51 Cr Lj 961 In domestic relation law change of circumstances includes post order circumstances which would include post order circumstances which justify the need of modification of the order.